Jun. 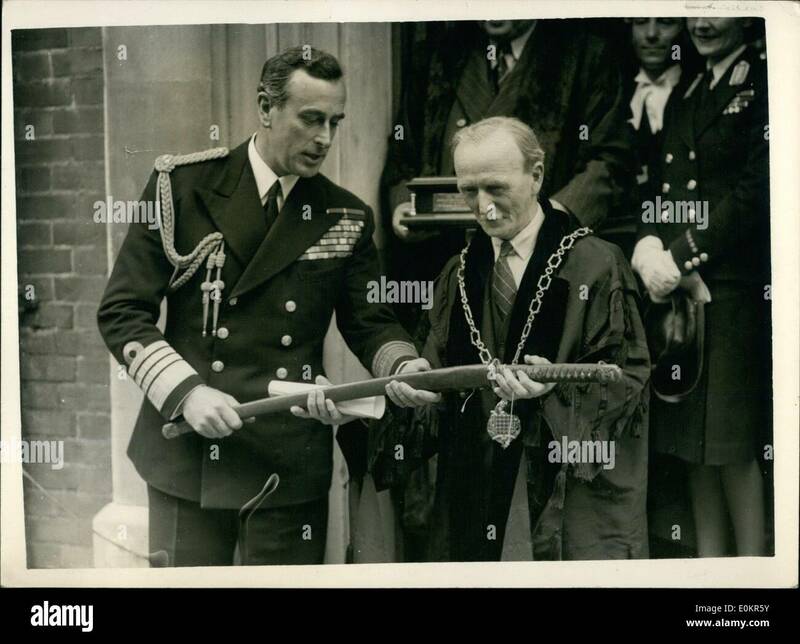 06, 1946 - Lord Louis Mountbatten Received Freedom Of Romsey. Presents Souvenir To Ancient Borough: Admiral Lord Louis Mountbatten, who was recently elevated to the rank of viscount, was the central figure received the Freedom of the ancient borough of Romsey, after which he presented a war souvenir to the town in the form of a large Japanese gun. Photo shows Lord Louis Mountbatten inspecting the Navy Guard of Honour during the ceremony. Jun. 06, 1946 - Cap and Gown for Lord Louis Mountbatten Received Cambridge Honorary Degree: Admiral Lord Louis mountbatten, leader of the South Asia Campaign was among the prominent personalities who received the honorary degrees of Cambridge University today. They included the prime Minister, Mr. Attlee, Spaak Belgian Foreign Minister and President of U.N.O. Assembly, Ach bishop of Canterbury, General Sir William Setm and others. 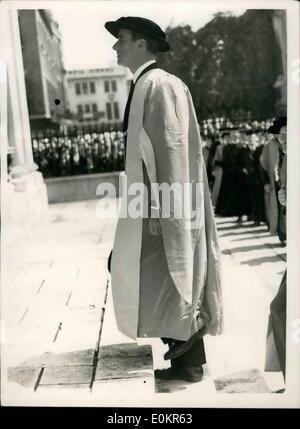 Photo shows Lord Louis Mountbatten wearing Cap and Gown entering the senate House, Cambridge.